The "New Heavy Duty Coil Binding Machine,Manual Punch,Electric Insert" is a manual punch and electric spiral coil inserting combo system. It is easy to use, and powerful enough to meet all your needs for spiral coil binding. 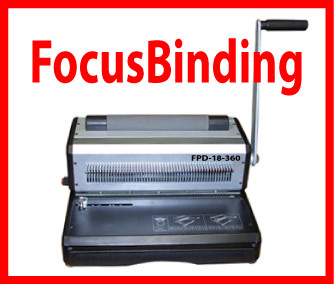 This Coil binding machine comes with removable punching dies with disengagement pins for clean punch. Max Punching Width: 13.5" with ability up to 27"